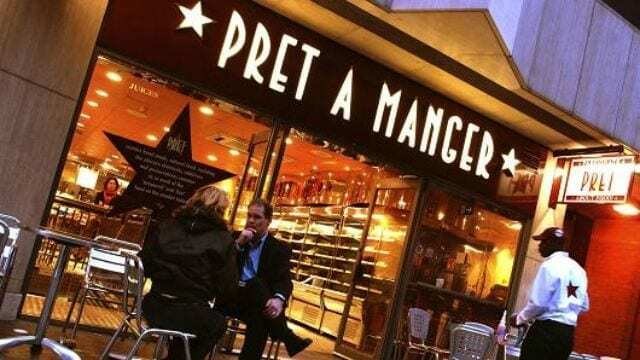 UK – The privately-held investment firm, JAB Holdings has acquired the majority stake in Pret A Manger, a UK-based sandwich shop chain for US$1.73 billion with the deal expected to be completed during summer. Pret, previously owned by an international private equity firm, Bridgepoint was founded in 1983, boasts of more than 500 stores worldwide including a strong presence in the US, Hong Kong, China and France. Bridgepoint initially acquired Pret A Manger a decade ago for US$420.63 million, and initially considered floating the chain on the New York Stock exchange before agreeing to the sale. The company generates more than US$1.01 billion in revenues with a strong and growing portfolio of sandwiches, salads and wraps in addition to an array of vegetarian or vegan sandwiches and salads. Through its portfolio, Pet is reaching out to address rising demand for meat-free options with freshly made product each day in shop kitchens using quality ingredients. Bridgepoint has been wonderful owners of the business for more than a decade. All of us at Pret believe JAB will be excellent long-term strategic owners. JAB believes in Pret’s values and supports our growth plan. I am really looking forward to this next chapter of Pret’s story. “I am also pleased to say that 2017 was another year of solid results for Pret, and we achieved our ninth consecutive year of like‐for‐like sales growth. The brand continues to thrive around the world thanks to our simple recipe of freshly prepared food, served by genuinely engaged teams,” said Clive Schlee, CEO of Pret A Manger. Olivier Goudet, JAB Partner and CEO lauded Pret for commitment to customer service, investment in innovation and approach to freshly prepared food position as well as capitalization on evolving consumer taste and lifestyle preferences. In 2015, JAB Holding led a $13.9 billion buyout of Keurig Green Mountain Inc in a deal that gave it 60% control of North America’s single-serve coffee market and advance its ambitions to build a global coffee powerhouse. The acquisition expands on its portfolio of products following the acquisition of Dr Pepper Snapple by JAB’s subsidiary Keurig Green Mountain in January 2018 and the US$1.35 billion purchase of Krispy Kreme last year.